The license is 100% genuine, permanent/perpetual for 1 PC. Activates pre-installed Visio 2013 or installation by Microsoft download (link and instructions provided with purchase). No additional purchase required. 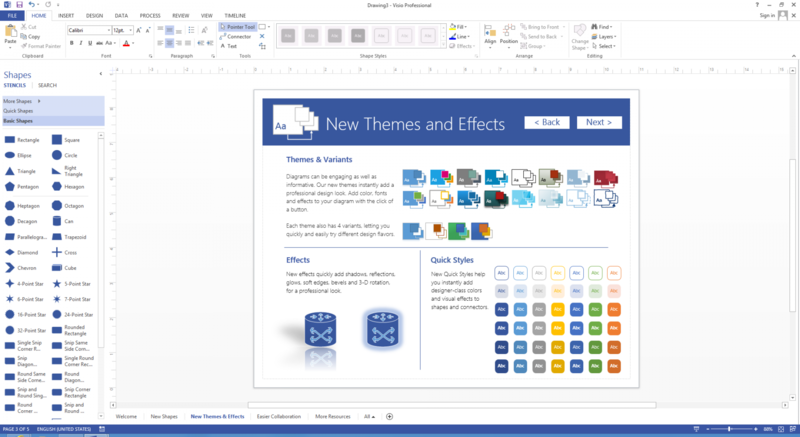 Features designed to make it easier to create diagrams including quicker access to frequently used tools, new and updated shapes and stencils, and improved and expanded themes and effects. Tools to make teamwork simpler, such as the ability to work together on the same diagram at the same time and improved commenting in both Visio and Visio Services. Create engaging diagrams in just a few clicks with updated shapes and new formatting options and tools. 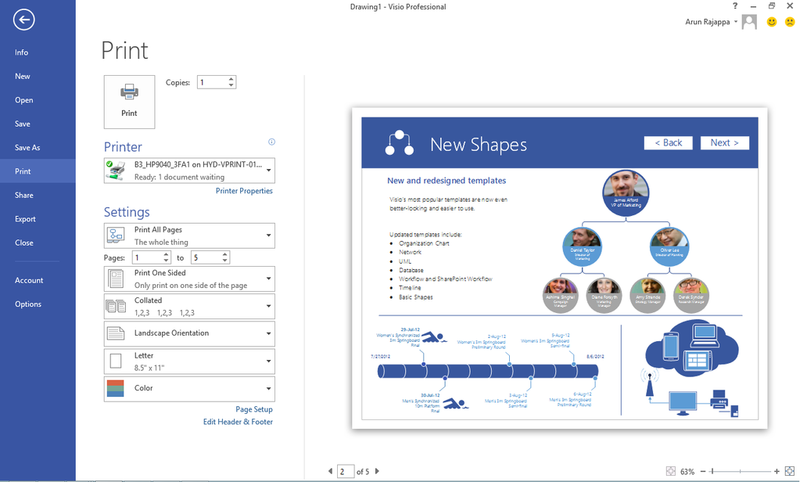 One of the most used templates in Visio the organization chart just got even better with several new styles from professional to playful, which you can apply with just one click, the ability to import pictures and improved layout options to help fine tune the way your org chart looks. Collaborate on diagrams with new teamwork features. Streamline teamwork and reduce the risk of errors by allowing two or more people to work on the same diagram in a single file at the same time. Features range from rearranging and adding shapes, to writing comments, and applying effects. With just one working file, you avoid the need to email files around, figure out what changes others have made to the original diagram, and manually merging multiple versions. Simply save your Visio diagrams to Microsoft SharePoint (either on your company's servers or through Microsoft Office 365), then make them instantly viewable through a browser for colleagues without Visio. 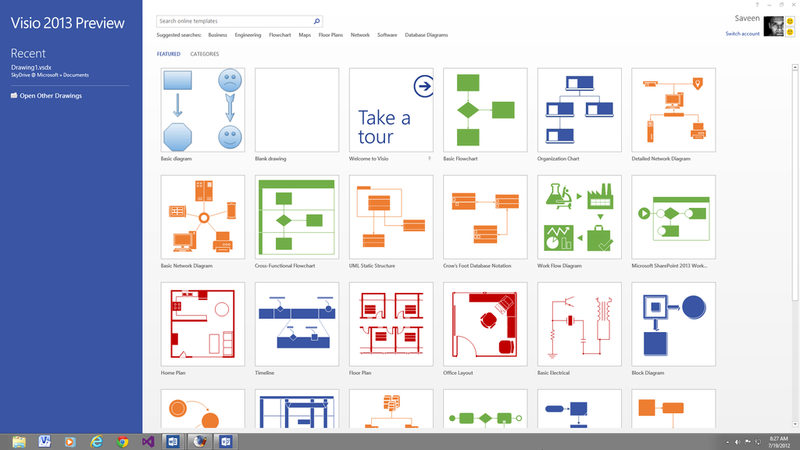 Start using Visio Professional 2013 today! Quick and easy ordering, Worked like a charm ... but if you have to reload your computer for whatever reason. You'll need to purchase this again. Don't get me wrong it's cheaper than Open License but you only get one activation ... use it wisely! This is my second time purchasing, my hard drive died with the first license on it.